Erik Madigan Heck, whose work appears in The New York Times Magazine, The New Yorker, and Harper’s Bazaar, among other publications, is a master of color and pattern. He is an artist who uses fashion photography as a vehicle for his art and as a point of departure, elevating fashion photography to fine art. 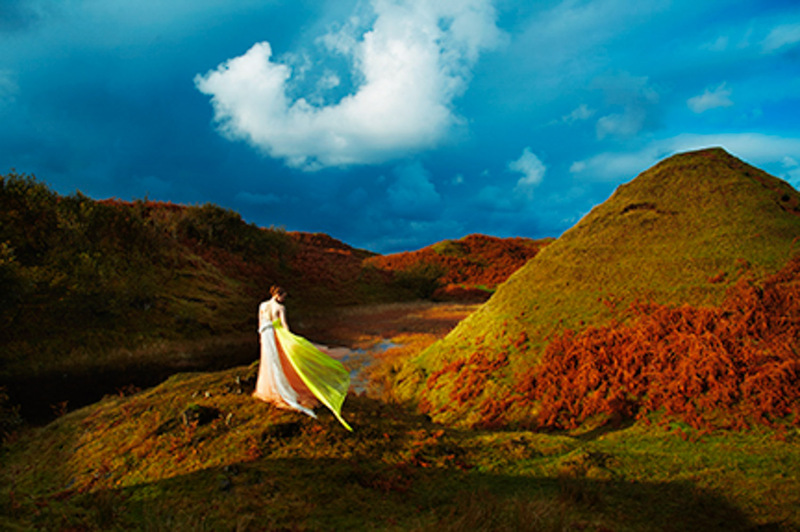 Another aspect of Erik Madigan Heck’s work is his photographs in nature. We see tiny figures lost in a romantic, ethereal, dreamlike landscape, overwhelmed by the beauty of nature. Heck’s work is original and looks like nothing else, but his inspiration comes from painting; from Vuillard and Degas, to Pop Art, Peter Doig and Gerhard Richter. A selection of his magnificent images are now on view at Staley Wise Gallery in New York.